$165. Vintage antique small round marble top pedestal side table, c. 1950. 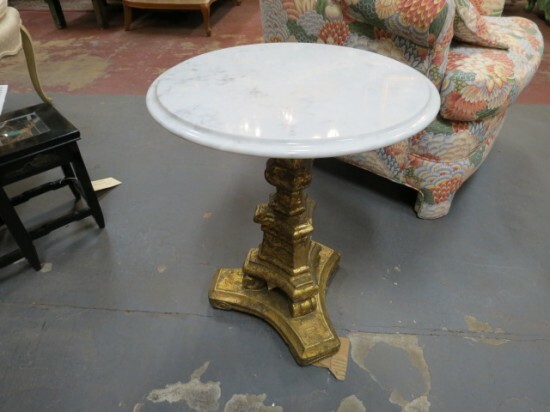 Round white and gray marble top sits on a pedestal carved gold leaf base. Perfect in between 2 chairs or next to a sofa. Excellent condition. 18in round, 22in tall.